To awaken 5* Stars Ninjas, you need to gather a number of scrolls and upgrade them to 2*, 3* or 4*. 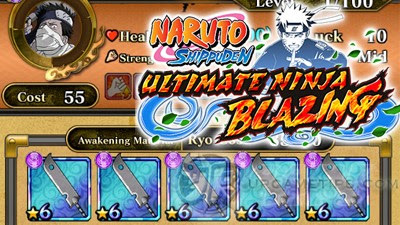 This is the basic method for almost all 5* Star ninjas that can be awakened to 6* Stars, but for special event based 5* ninjas like Zabuza Momochi - Silent Madness, Rock Lee - The Eight Gates, Gaara, you need more. - In order to awaken Zabuza Momochi - Silent Madness to 6* you need his Special Awakening Tool: Executioner's Blade (5 pieces). It can be farmed from this limited time event Emergency Mission, but if it's not available, just wait until they rotate the events. 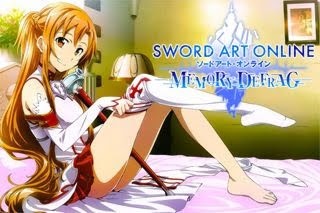 - Executioner's Blades will only drop from Rank [A] missions. The drop rate is constant per mission in this event (drop rate is dependent on the difficulty). - You can also farm 5* Zabuza Momochi - The Demon Returns from here, but he can't be upgraded to 6*. - In order to awaken Rock Lee - The Eight Gates to 6* you need his Special Awakening Tool: Training Weights (5 pieces). It can be farmed from this limited time event Emergency Mission, but if it's not available, just wait until they rotate the events. - Training Weights will only drop from Rank [A] missions. The drop rate is constant per mission in this event (drop rate is dependent on the difficulty). - You can also farm 5* Rock Lee - Never Gives Up from here, but he can't be upgraded to 6*. - In order to awaken Gaara - The Sand's Final Weapon to 6* you need his Special Awakening Tool: Sand Gourd (5 pieces). It can be farmed from this limited time event Emergency Mission, but if it's not available, just wait until they rotate the events. - Sand Gourds will only drop from Rank [A] missions. The drop rate is constant per mission in this event (drop rate is dependent on the difficulty). - You can also farm 5* Gaara - Sand Clad Demon from here, but he can't be upgraded to 6*. - So if you can't Awaken you ninja even though you have all the required 3* or 4* Scrolls, you might need to gather their Special Awakening Tools instead from their respective limited time event Emergency Missions. - In order to awaken Itachi Uchiha -Beyond the Sharingan to 6* you need his Special Awakening Tool: Red Ring (5 pieces). It can be farmed from this limited time event Emergency Mission, but if it's not available, just wait until they rotate the events. - Red Rings will only drop from Rank [A] missions. The drop rate is constant per mission in this event (drop rate is dependent on the difficulty). - You can also farm 5* Itachi Uchiha - Limits of his Ability from here, but he can't be upgraded to 6*. - Join Multiplayer Mode as a host and recruit ninjas that you need, preferably teams with 1 Healer and Nuker, but if you have a nice pool of ninjas and high Team Cost, then you can do it solo. - Healers are needed for healing, stalling, and chakra stacking. Aim for at least 2 healers. - This is situational, but if there are 4 or more enemies present, better use your ninjutsus and eliminate some of them fast. Attack combinations from these enemies really hurts, especially when there is a Boss around. - Once your team enters the Boss stage, eliminate enemies that you can before the Boss appears! This will give your team an easier time, and enough space to execute plans.